Joe Browns have been my favourite clothing label for my entire adult life. I often tweet about how great they are, tweet to let everyone know of any sales and basically rave about them to anyone who will listen. When did we first come across Joe Browns clothing? I first came across Joe Browns back in 2004. I was 19, met Hubby 3 months before and we were going on our first holiday together – my first time abroad, to the Dominican Republic. At the airport we picked up some magazines and then forgot about them. A couple of days later we were relaxing in our hotel room and I pulled the magazines out to have a pre-dinner read. Out of one fell a clothing catalogue. Only a few pages thick but a lovely assortment of what I can only describe as surfer type clothing, all outdoorsy colours, floaty material and a vaguely hippy/boho feel. I loved the look of the clothing, kept the catalogue aside and made sure I looked up their website when I got back to the UK. I placed a big Joe Browns order when I got home and have continued to place regular orders with them year after year. I have now been wearing Joe Browns clothing for the best part of 10 years. As I’ve outgrown other brands on the High Street, Joe Browns seems to have grown with me – Their clothing has seen me through my young ‘going out’ years, my pregnancies – with well cut tunic tops and long line jumper dresses, post-pregnancy and now into my life as a young Mum. The Joe Browns catalogue is now a more substantial pamphlet and their clothing ranges have expanded as the years have gone by. Joe Browns isn’t ‘trendy’, it’s quirky and different. If you wear Joe Browns clothing you stand out from the crowd, make a statement and yet blend in at the same time. What are the Joe Browns clothing ranges like? Joe Browns latest Autumn/Winter ranges fit in with the styles I have come to expect from Joe Browns. This season’s themes are – A Winter’s Tale – inspired by the cold climes of the Russian winter, combining nostalgia for the soviet era with modern Russian design to show the juxtaposition of the past and the present. This showcases traditional techniques, ornate detail and jacquards, tile prints and geometric prints. Wuthering Heights – inspired by a fantasy/fairytale themed battle between good and evil, underlying moral lessons, classic folklore and epic fantasy film. This will entail whimsical elements, translucent fabrics, delicate silhouettes and romantic colours of the forest. Heritage – modern heritage inspired by hunting and fishing combining traditional heritage looks and modern functionality. This will showcase sartorial styling, repeat patterns and earthy, edgy colours and finally Lust for life – inspired by a sense of adventure, rugged winter landscapes and adventure themes. This will include mountain and winter sport inspired graphics. The themes, along with the catalogue do not disappoint! Who wears Joe Browns clothing? Joe Browns is a brand made for everyone. They have Joe Browns plus size and Joe Browns petite ranges and the Joe Browns sizing is really true to what you would find on the High Street. I haven’t yet found clothes similar to Joe Browns and I doubt I ever will. Joe Browns kindly sent Hubby and I an item each from the Autumn and Winter range to review. 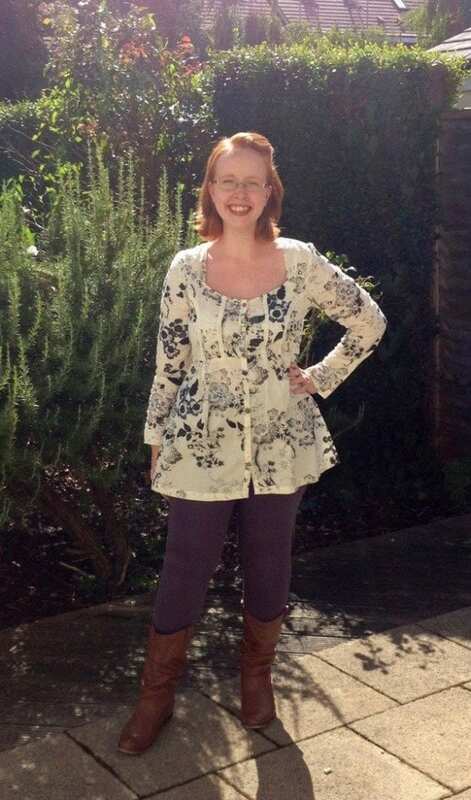 Hubby was sent the Ducks Away Print Shirt and I was sent the Wuthering Heights Blouse. Both items were very well made and 100% cotton. They were also a good fit for our sizes – I love how many Joe Browns styles for women have a floaty cut that really flatters your shape – I always feel confident in Joe Browns clothes even after having 2 children! What is the Joe Browns mens range like? 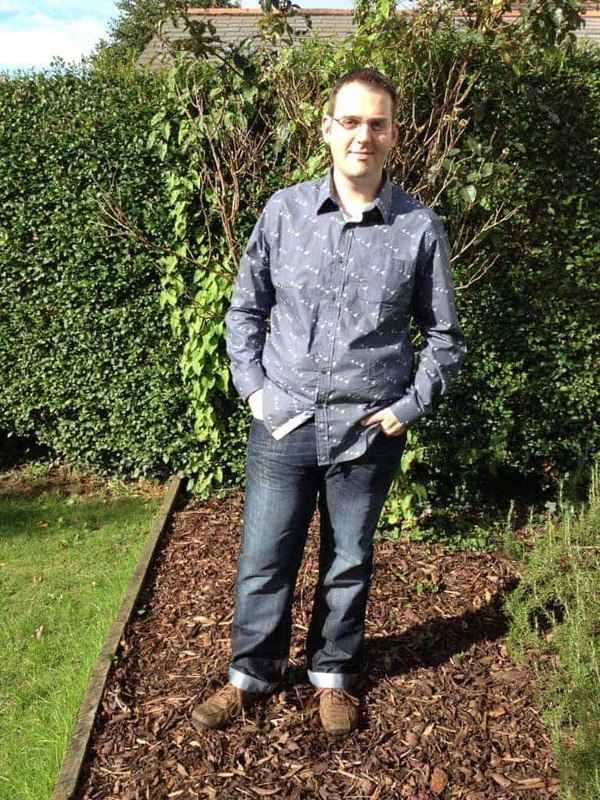 Both Hubby’s shirt and my blouse sum up the Joe Browns range – both can be dressed up or down and look great with jeans or smart trousers – styles that can take you easily from day through to night. I love how effortless Joe Browns clothing is – how easy it is to make a statement and to feel good at the same time. Hubby and I didn’t choose the items we were sent and yet we love them and felt happy wearing them – this is the great things about the Joe Browns range – once you start to enjoy their products then you will find yourself wanting everything that they have to offer – there’s a jacket I already have my eye on! 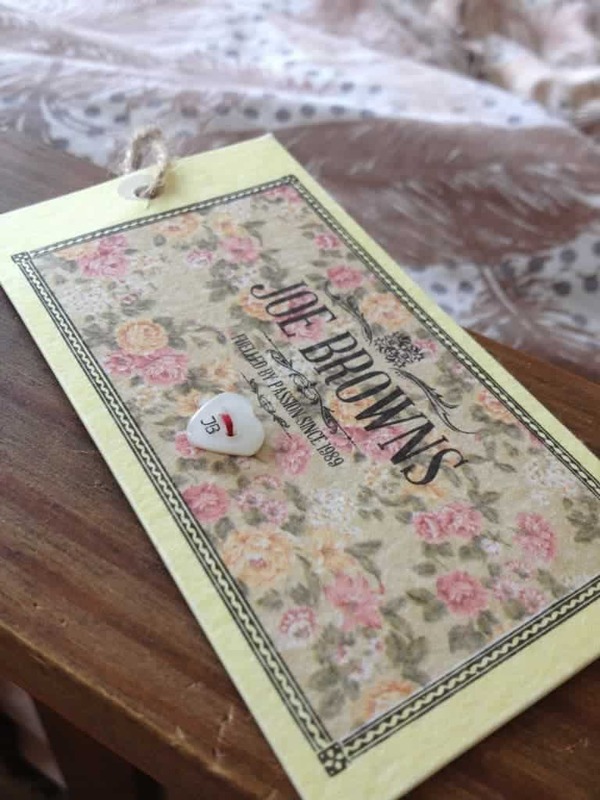 Disclaimer: Joe Browns sent me 2 items for the purpose of this review, however, all opinions are my own and I have been a Joe Browns fan for a long time and would rave about them even when not reviewing products! I know this was posted a while ago but I wondered if you would know who in the US sells Joe Brown’s clothing? Also do you know of any other online clothing stores that sell for plus sized women (size 18 us) with a similar style sensibility? I checked out their website after reading your review and LOVE their clothing. Can’t wait to order!